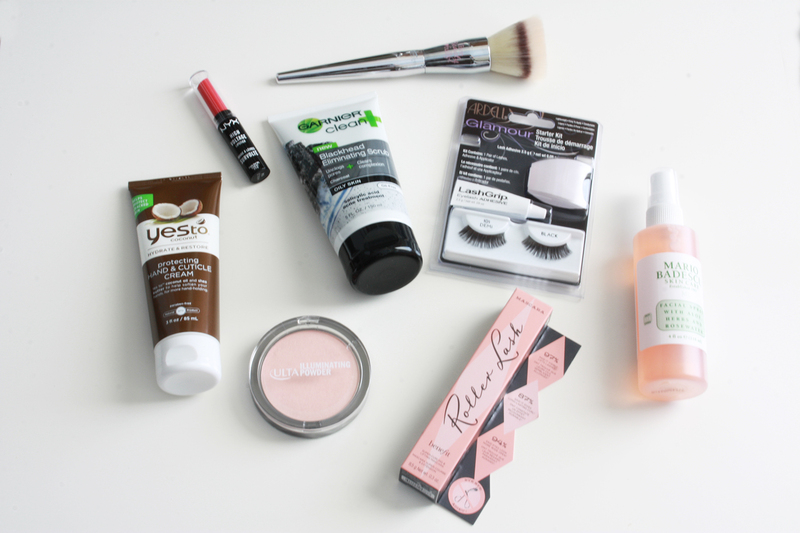 Today I'm sharing what's inside my Ulta Beauty bag that I received from Fashion Week! Before I even begin I need to say that I'm not trying to brag or show off or anything of that nature. I always use to wonder what bloggers or VIPs would get into swag bags and I'm sure you are too. I wanna share what's inside them so you too can know the mystery! I am so thankful to Ulta team and Kansas City Fashion Week for so generously gifting them. You guys are seriously the best. So what's inside the mystery beauty bag? Let's find out! As part of the media personnel for Fashion Week I got to attend the Ulta Beauty Media Event at FW. You can read all about the event in my Night 3 recap! They gifted all the attendee's with a beauty bag full of amazing products. The product I was the most excited to get was the Benefit Roller Lash mascara. I'm pretty sure I squealed when I saw it in the bag. I had been wanting to try it since it came out. And, naturally, after reading Nicole, aka StoneColdBetch's review on it I knew I needed it. I was excited but a bit nervous since it was super hyped up. It's as good as they say. I absolutely love it! And as someone who has wimpy, uncurl lasting lashes it makes them long, full and curled. It's the best. Definitely head to your nearest Benefit counter and pick it up. I also have used the Blackhead cleanser and I like it! Does it remove all the blackheads like it says it does? Ehhh..... not really but it does leave my skin feel clean and soft! And the hand cream from Yes to Coconuts is great for dry, cracked hands. I love it! Plus, it smells like a summer vacation so naturally I love it. Again a huge thank you to Ulta Beauty and Kansas City Fashion Week for providing me this amazing goodie bag! They were very generous and I am extremely thankful to have gotten one! Have you tried any of these products? Leave me a comment below or strike up a convo with me via social media, @samantha_goble! "women have two weapons; cosmetics and tears"